How Accurate are Employee Criminal Background Checks? When background screening a new employee or current employees, accuracy is vital. Not only do employers want the truth about potential criminal activities, candidates and employees don't want to lose an employment opportunity due to false information. Employers must also allow the screened applicant time to dispute inaccurate information through the use of FCRA adverse action procedures. In other words, the veracity of criminal background checks is very important. When screening an employee, how accurate are criminal background checks? Some employers will forego hiring a professional background screening company and instead run online criminal database checks. A quick search of available public records appears to be a valid option for background checks and, as an added bonus, these searches are usually free or cheap. A search of a public database may reveal information about your candidate but the information has not been verified. Unverifiable background checks are not accurate. A third party screening company, with costs just a bit more than free, will not only offer results but will verify the sources and the conditional matches against the candidate. The background check reporting agency will also guide employers through the process of screening, accuracy, and verification of the candidate. The truth is, there is no singular national criminal record database. Any online criminal background database is an aggregate of many different databases and none of them are all-inclusive. These databases become easily outdated or inaccurate as quickly as activities go unreported. In fact, counties, municipalities, and other courts may not provide their data to national databases. Some aren't required to report outside of their county. Fingerprint records are also not completely reliable for criminal record searching. Just because there is FBI record of a fingerprint, it doesn't necessarily mean the employee has a conviction. Some justice departments may also choose to not fingerprint or not report records to the FBI. A national criminal background search, when conducted by a background screening company, entails searching federal, state, county and municipal courthouse records. The screening company may contact the courthouses directly to verify the criminal record data matches the applicant and different points of data supplied by the employer. The application process is also part of the verification of accuracy. Many employers have opted for an online application and background consent process to ensure the data they receive from candidates is definitive. The Fair Credit Reporting Act (FCRA) does not dictate any time limits on reporting criminal convictions. State laws, however, vary. Employers, cities, and states are also setting up legislation called Ban the Box that prevents asking employees if they've ever been convicted of a crime. If a state has time restrictions of 7 years, and the same state has banned the box, an employer may unknowingly hire someone with a criminal background. These laws are beneficial to teens or young adults who were convicted as felons but have since turned their lives around. Some juvenile records, especially if they are non-violent crimes, may be sealed or expunged. Also, arrest records without convictions are not allowed to be included in an employment background check. Determining an accurate employee background check means being aware of criminal record laws in the employer's community or state. 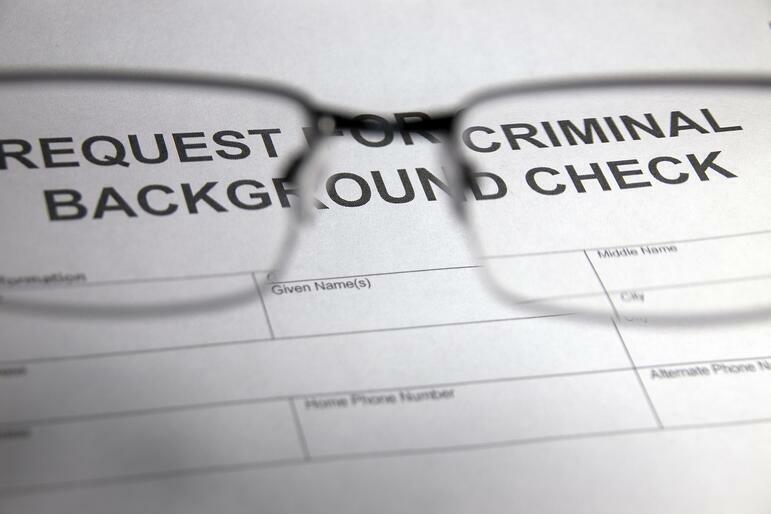 When an employee background check reveals a criminal record, employers must make sure the information is accurate. The screening report must match all available data points supplied by the employee to weed out any false or inaccurate information. The FCRA specifies that the employer send out a pre-adverse notice to allow the employee to dispute any reporting that is untrue. The employer must also navigate the potentiality of offering employment to an employee with a criminal record. The EEOC specifically recommends that employers perform an individualized assessment before explicitly denying employment due to a criminal record. A criminal background screening policy can help employers determine if the criminal history will affect the job performance or the safety of the business, its employees, and its customers. 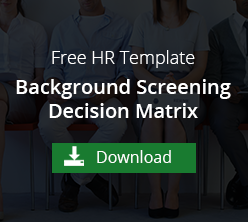 Another helpful procedure is for employers to have a job-specific decision matrix to quickly determine if certain criminal convictions automatically disqualify employees from the job. If, after the assessment and decision matrix consultation, the employee will be denied the employment opportunity, the employer is to send an adverse action notice. These policies and procedures help to ensure accurate employee criminal background checks and build consistency in the background check process. A dependable method of obtaining consent, working with a professional screening partner, and following local and federal regulations will also make background checks less costly, more reliable, and protect employers from possible litigation.